Bayswater City Soccer Club’s home, Frank Drago Reserve. Picture: Kristie Lim. 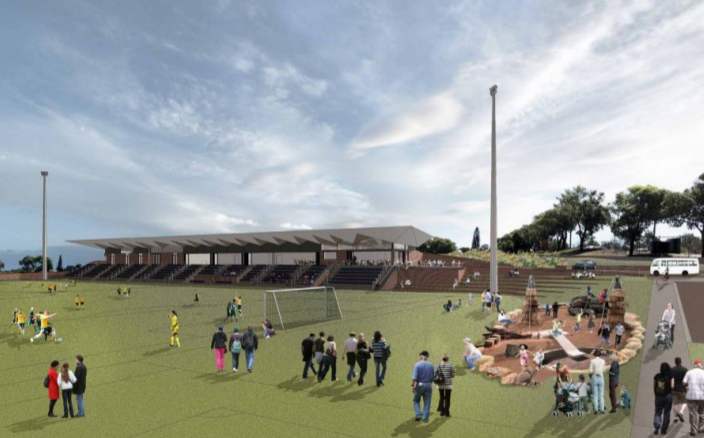 BAYSWATER City Soccer Club will continue to lobby Federal and State governments to help fund its proposed home ground redevelopment, expected to cost $16 million. 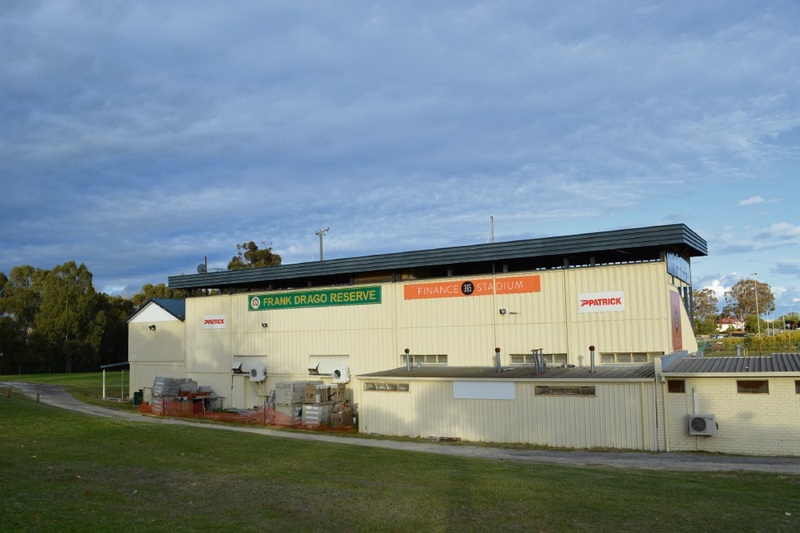 Bayswater Council unanimously gave in principle support for the club’s proposed facility design plans for Frank Drago Reserve at its April 9 council meeting. The City of Bayswater, which manages the State-owned reserve, currently has no funds for the project. The club has won three National Premier League WA championships since the league started in 2014 and six night series crowns. 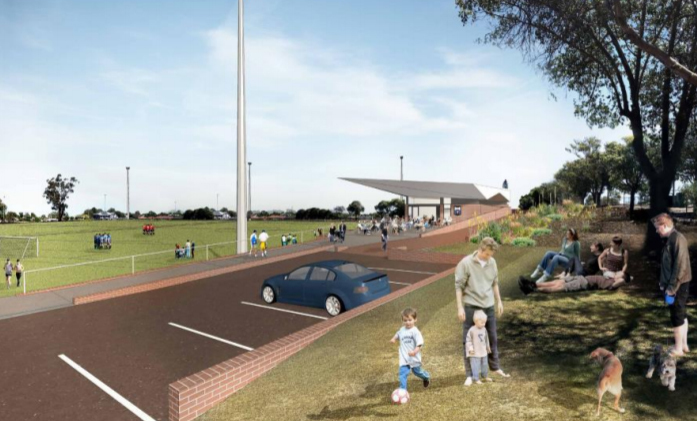 With the goal of building a community hub, the club appointed Iredale Pedersen Hook Architects to design a facility to meet future requirements of the community, the City and NPL. Sporting fields and playground. Credit: Iredale Pedersen Hook Architects/City of Bayswater council agenda. 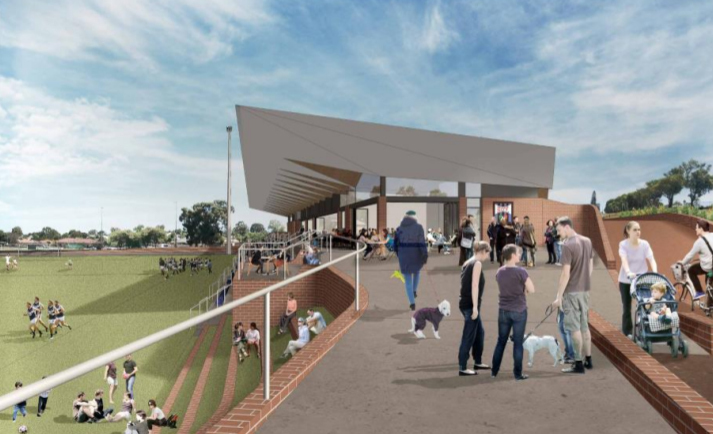 The proposed facility included removing the fences, parking that may complement future Metronet development, a cafe, restaurant or bar, function rooms which would be available for community use, physio rooms and a playground. The grandstand and playing fields will be accessible for dog walkers and for community events in summer. Bayswater City building committee manager Greg D’Orazio told the Reporter that the club had spoken to both sides of politics and would continue to lobby them. “It’s been a long journey and to finally receive not just support but unanimous support (from the council) is very exciting,” he said. “It’s a tough market out there and clubs like ours are continuing to feel the financial struggle to be able to deliver a product that we can be proud of. “This new facility will be a community hub, and will be far more community-driven than just sport driven. Mr D’Orazio said successful projects could only be successful if the community was on board, so consultation was “a must”. “We want to embrace the community, which in turn will make our club more financially sustainable into the future,” he said. Mr D’Orazio said the club was also focused on “being the leader” in soccer for people with disabilities and women. Councillor Sally Palmer congratulated the club on the proposal, especially its dedication to women’s soccer. “The soccer club is on the train line with two tracks and can only flourish… they are not asking us for money; they are asking us for support, promotion and standing with them,” she said.